Ok, I have been cleaning up some things as I try to prepare for a move in a few months. 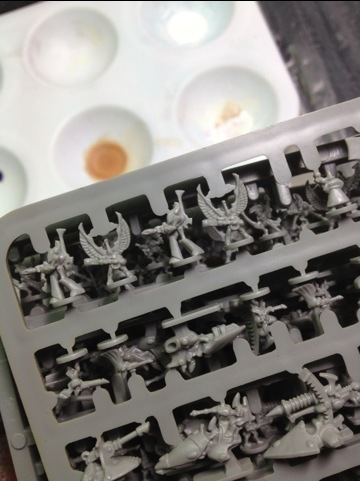 While doing so I think I have found my Dark Eldar Harlequin army. What do we have here? 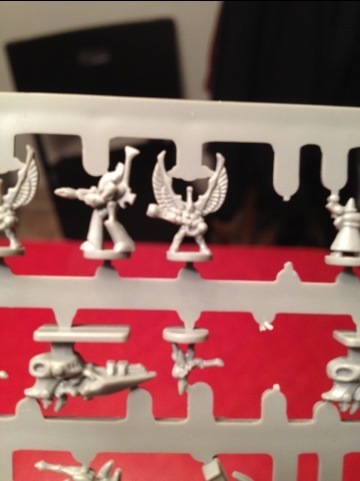 Epic warhammer 40k Eldar swooping hawk exarch figs! Here is a closer look. I am thinking that these would be “pixies”, “sprites” or “fairies”. With guns of course :D. Anyhow, I will see what I can do to make that work.